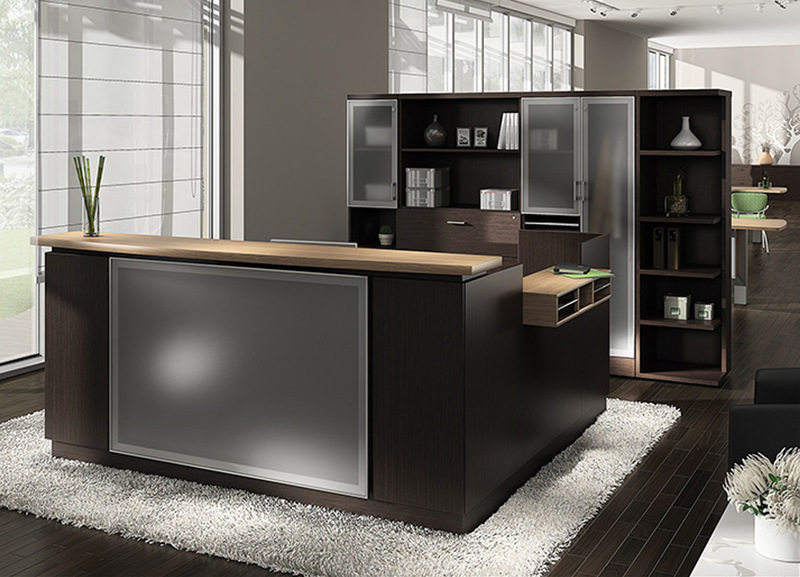 The Zira modern reception desk, brought to you by Global Office Furniture, offers ample workspace and trendy storage. With clean lines, frosted glass panels and high quality finishes, Zira will give your reception area a comfortable modern feel. 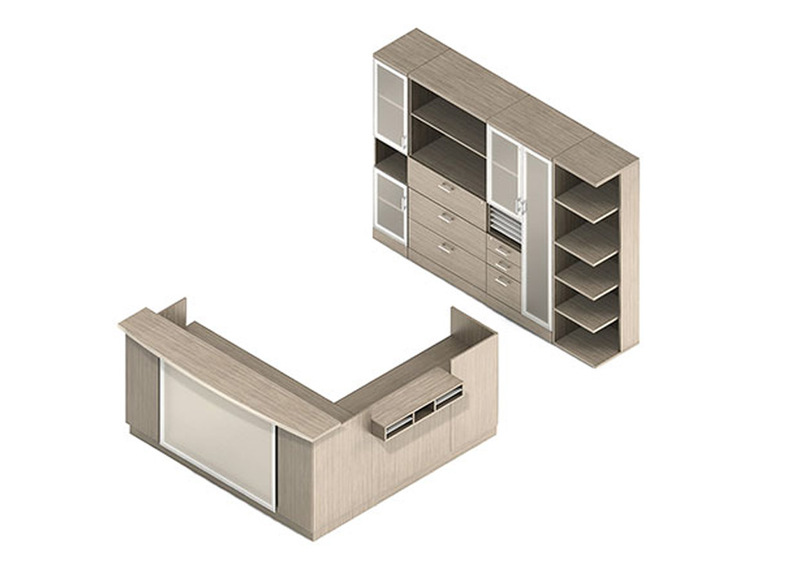 Special Features:Highly customizable product line with over 5300 components in many sizes.